The entire office depends on your HP Color LaserJet 3550 printer. It delivers a fast start-up time, a print speed of up to 16 pages per minute (ppm), and a 350-sheet paper capacity that can be expanded up to 850 sheets. With wireless networking capabilities and automatic print mode adjustment, this device does it all. 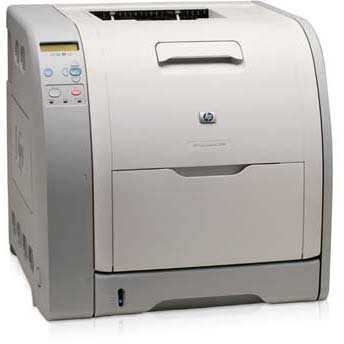 When it comes to buying HP LaserJet 3550 toner, though, you’ll quickly realize that original equipment manufacturer (OEM) prices can be very high. You may have thought that your only options were to pay inflated OEM costs or go with a cheap toner cartridge that produces inferior work. However, thanks to 1ink.com, you have another option. A remanufactured HP 308A toner cartridge (in black) or a remanufactured HP 309A toner cartridge (in cyan, yellow, or magenta) from 1ink.com will give you the exact same product specs as an OEM unit. You’ll get the same true-to-life photo print quality, the same outstanding performance, and the same page yield (up to 6,000 pages in black and up to 4,000 pages in color) for over 40% off the OEM price!